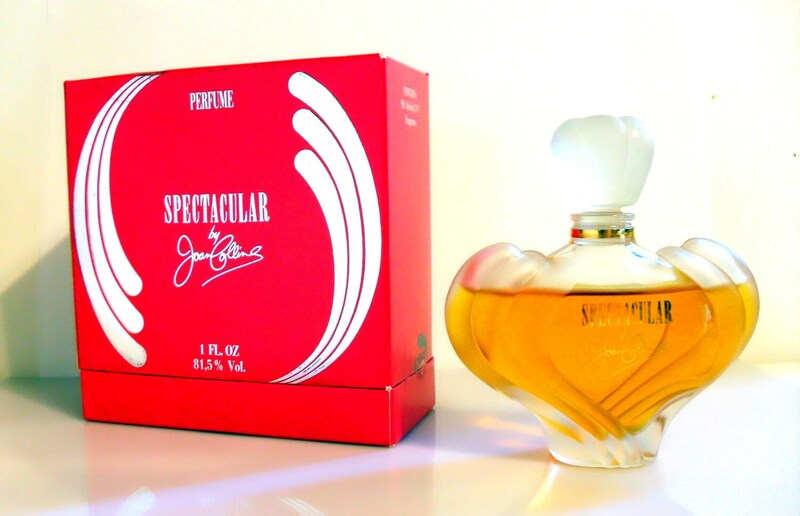 Vintage 1980s Spectacular by Joan Collins 1 oz Pure Parfum Splash and Box. The bottle is about 95% full - see photo for the actual fill line. The bottle is so pretty, made up of clear and frosted glass that resembles wings. The box is fuschia pink with silver trimming. 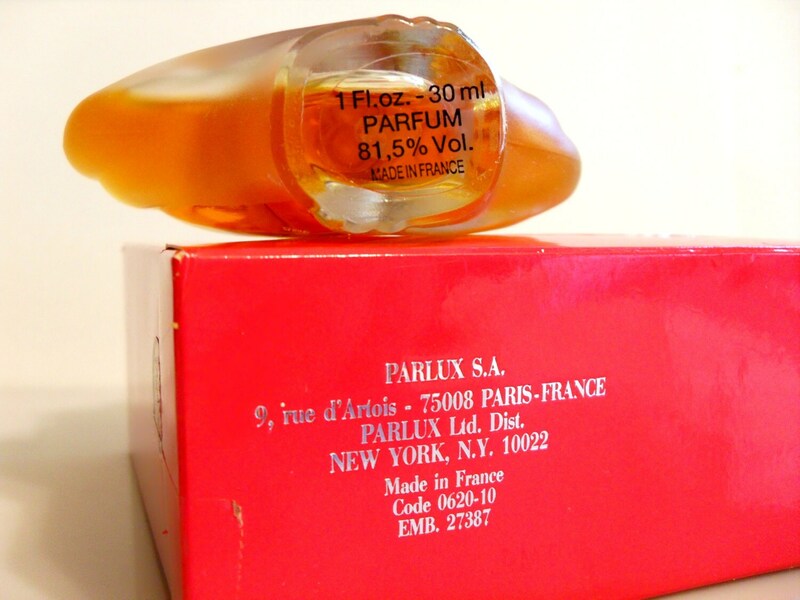 This one ounce bottle of parfum retailed for $150 during it's debut in 1989. The perfume is old but I just tested the perfume and it has not turned, it is still wearable. Because this is an unsealed bottle, I will decant the perfume into a separate glass bottle for shipping purposes to prevent leakage and damage to the label and box. You will receive the glass bottle and a pipette or medicine dropper to refill your bottle with the perfume. Launched in 1989, in association with Parlux SA. 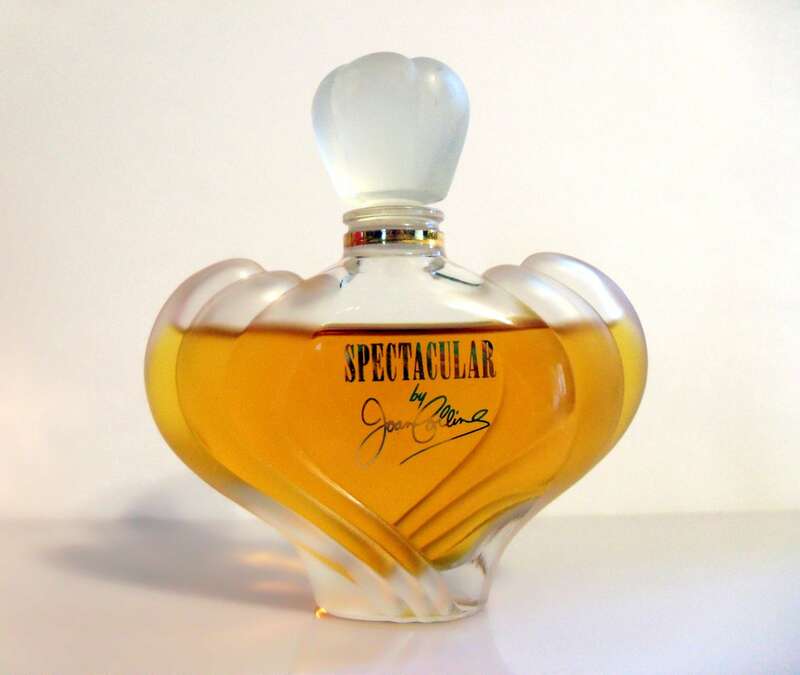 Spectacular is classified as a floral tuberose fragrance for women. This fragrance has been discontinued since 1991. In 1989, the Dynasty actress said that Spectacular was "her baby. Parlux and I went to bed together, and produced Spectacular, our baby." Since the packaging for the perfume was pink, Joan Collins had ordered Bob Mackie to create 25 custom made different shocking pink dresses for her to wear during a three day event to promote her perfume. As Joan never knows what she is going to wear that day, she wanted to have 25 dresses in the same color but in different styles to choose from. I am sure that was not a cheap order from the glamourous fashion designer. "Be spectacular ladies, all the time, " cooed Joan Collins at a Bloomingdale's store while presenting her perfume. An extravagant evening gala was put on by Donald Trump at Trump Tower with a guest list that included such luminaries as actresses Lauren Bacall, Marissa Berenson, fashion designers Calvin Klein, Polly Bergen, Carolina Herrera, Diane von Furstenberg, Bill Blass, Bob Mackie and personalities like newsman Walter Kronkite,models Jerry Hall and Lauren Hutton, singer Grace Jones and agent Swifty Lazar.